Climbers visiting Fontainebleau for the first time often don't know how numerous and spread out the different climbing areas are (one hundred kilometers from the most Northern to the most Southern area!). 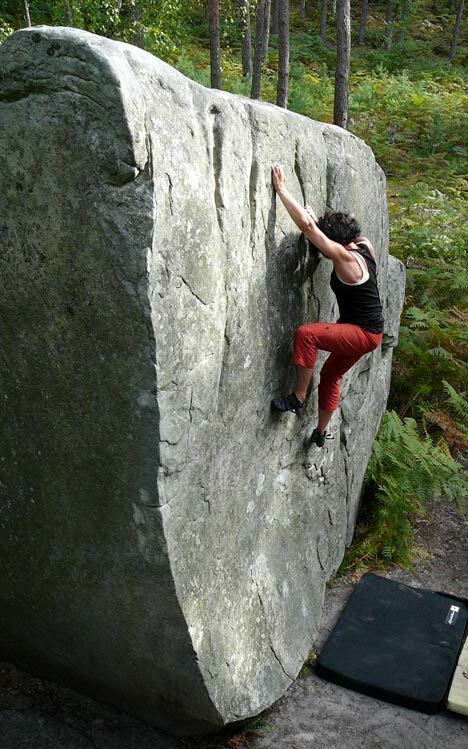 The bleau.info database provides information about 28.500 boulder problems in 250 areas in Fontainebleau. An interactive map shows the location of these areas. Of course not all areas have the same interest or the same density of boulders. The basic and advanced search help you to find the problems you are looking for. More than 15.000 problems are illustrated by a photo or video. All this information is freely available to everyone. If you sign in and create a profile (top-right) you can log and rate your ascents. You can create a list of your 'to do' problems and keep track of your friends public ascents (you can control the visibility, private or public, of all your ascents). Your private profile page shows all of your ascents and statistics. As a connected user you are able to keep track of new stuff like recently added problems or photo's/video's in a chosen grade range. In case you don't remember your password for an existing profile, please use the Forgot password feature to reset your password via your current email address. If you have a question, please contact us via the link Contact at the bottom of this page.